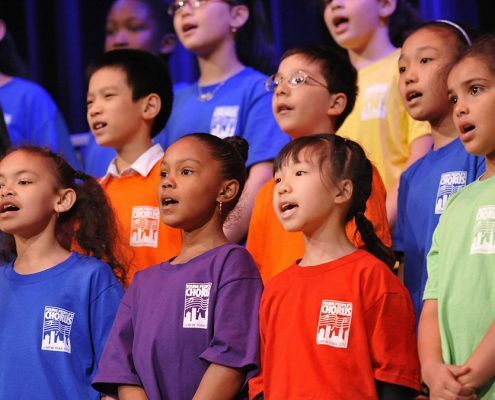 For the 14th Annual School Choruses Concert, and the first ever at the historic Apollo Theater in Harlem, 1,000 children from 16 schools in the Bronx, Brooklyn, Queens and Manhattan will converge for a performance of music celebrating many of the vibrant cultures that make New York City the most appealingly diverse city in America. The singers–all participants in YPC’s School Choruses program, a music education and performance program under the direction of YPC’s Associate Artistic Director Elizabeth Núñez–will be joined onstage by artists, dancer, and poets from The Classical Theater of Harlem–led by Ty Jones, producing artistic director, and choreographed by Tiffany Rae-Fisher, artistic director of Elise Monte Dance–in an exciting showcase of music from all over the world. $10.00; Available at the Apollo Theater Box Office starting May 3rd or at Ticketmaster.com.